Ocean Systems workstations are purpose built, application tested and supported by our own in house technician in houses so you can build a personal relationship with our support staff for both your hardware and software. The Tower is well ventilated and provides easy to access. Both side panels can be easily removed, providing full access to the interior for periodic maintenance. 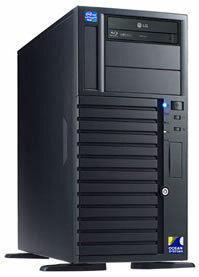 There is also ample room for internal raid storage and upgrades. This option is idea for those looking for a tightly integration professional profile.